Back in November 2016, I attended the JEA/NSPA National High School Journalism convention in Indianapolis along with three students. We attended a session titled “Humans of Your School: The Video” taught by Michael Hernandez and his student Omar Ahmed from Mira Costa High School in California. We already do a Humans of WHS with photographs and quotes on our website, but this session focused on producing quick one-hitter video features. We were instantly hooked. We knew this HAD to happen for our school. Why? Well, the Friday Show, which is announcements-heavy, needed a facelift. Also, our student body is full of students who have stories to tell. And, quite frankly, many of our students do not know each other. 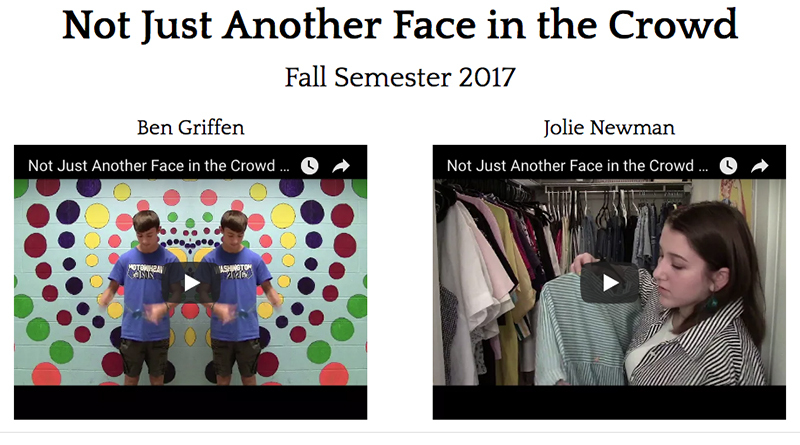 It took some planning and experimenting, but by January of 2017 we were ready to dump the “Pet of the Week” and a slew of weekly contests on the Friday Show to launch “Not Just Another Face in the Crowd.” That first week alone, I recieved six emails and two personal visits from teachers and students complimenting the new segment. During that initial run, we had one week we didn’t have the segment and students came to me complaining that they missed it. Several told me it is their favorite part of the Friday Show. That in itself was better than any award or grant we have ever won. I love creating something for our students and teachers that they appreciate and actually miss when it doesn’t happen. 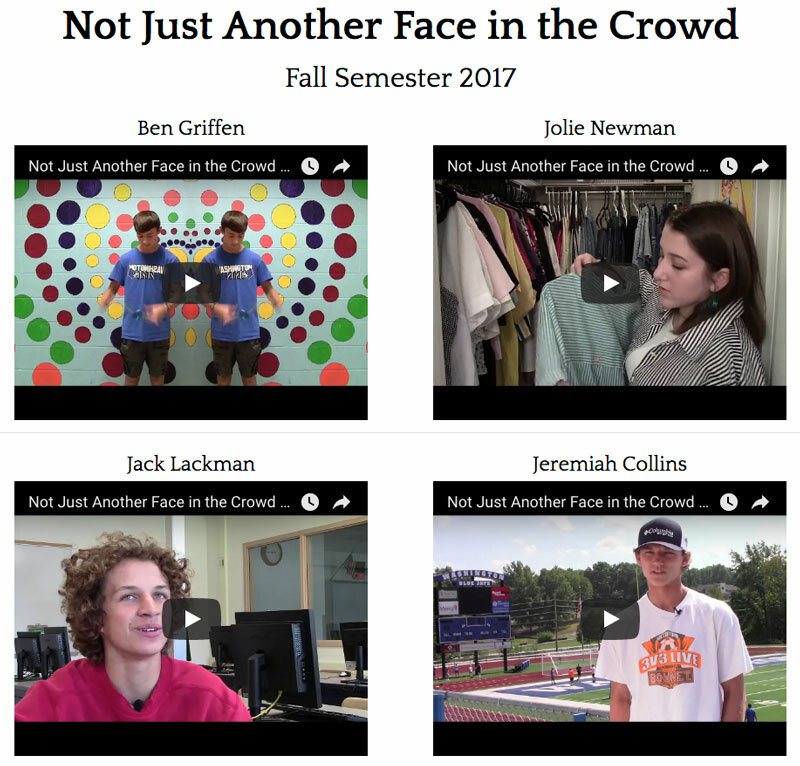 This past fall semester, we went forward another step and started uploading the “Not Just Another Face in the Crowd” stories to our Twitter and Facebook platforms. The feedback has been amazing. Knowing that this segment has helped students get to know each other better and has made us more connected is powerful. It restored my faith in the power of storytelling and is something that I, as an adviser, am thrilled to thank JEA, Michael Hernandez, and Omar Ahmed for inspiring.